"We are trying to decide between a traditional school setting and a special school for our 6-year-old son with high functioning autism. What are your thoughts?" Choosing the right school for any child can be a challenge, but finding one for a son or daughter on the autism spectrum (i.e., high-functioning autism or Asperger's) can create some real anxiety in parents. Every child deserves a good education, and the law provides that children with "disabilities" - including Autism - be educated with teachers trained in handling such challenges in practice; however, finding good teachers isn’t always easy! Parents must decide whether or not their child will be best managed in a mainstream school with a high rate of contact with "typical" children, or in a special school where the chances of the child coming in contact with mainstream children is considerably less. Special schools may have better educational programs for children on the autism spectrum, but may not provide enough positive role models of more ‘normal’ behaviors. Some people also feel that special schools can encourage kids to mimic other children with similar problems. How integrated will the child be in the classroom? What techniques, such as music therapy, are utilized? What is the plan for reducing arousal if necessary? 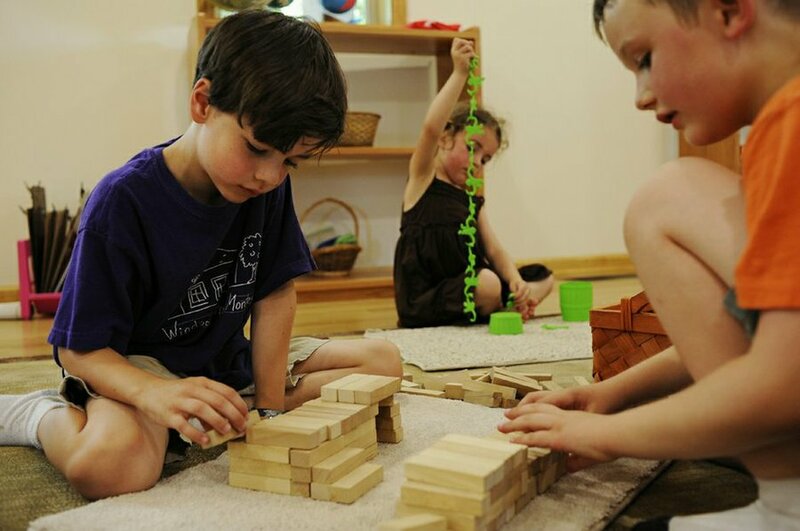 Younger high-functioning autistic children will need very small class sizes with early education so that when the child reaches school age, he or she may be more integrated into the classroom. The ‘right’ school understands Autism Spectrum Disorders and has methods in place for teaching special needs children. They carry a positive attitude about the disorder and place expectations on your child for progress, in whatever way it occurs, in the school setting. The main task is to find a school where your child’s special needs will be addressed and where he will learn important social skills from other children. • Anonymous said... A public school can be good if there is a teacher there who understands and knows how to work with high functioning autism kids, otherwise I would wait till the child is a little bit older. At least till the age of 8, it seems like that is when they come into a bit more of their own. • Anonymous said... depends on the public school...mine is amazing! • Anonymous said... I agree that it depends on the school system. My child is on the HF end and has done well in public school. It has its challenges. But it was the right decision for our family and his needs. • Anonymous said... I found the school system to be quite horrific for my Aspy. I've been homeschooling him for 18 months and the change in him is amazing. • Anonymous said... I highly recommend homeschooling. • Anonymous said... I would recommend a school that specializes in Autism. My daughter was enrolled in several different public schools and continued to fall behind and had melt downs at least 3 times a week. I enrolled her in a school specializing in Autism and now she's excelling. She has AS. Being most kids enrolled in this school have AS or some other unique trait there are no bullying which my daughter endured daily at public schools. Good luck with figuring out what's best for your child. • Anonymous said... It definitely depends on the school district. We do not have a very good school district for special needs kiddos, and I pulled my eldest out to homeschool when he was in preschool. Homeschooling has been amazing for our family. • Anonymous said... Mainstream has its own nightmares!My son is struggling to get the right support from his teachers as they think he is perfectly capable of taking instructions as the other 10 pupils in his class.. --They say if he fails ( he is an A student) then its his lesson to learn harder!--actually his work from school is non existant and no communication from his teachers assist with this problem. They leave him to his own choices and it results in CHAOS!--so, special school system where there is ample support sounds more positive to me at this moment. Homeschooling even better as the pressure is less and children can master their own learning methods in a safe environment--according to their learning style.--less headaches! • Anonymous said... Make your public school pay for an autism school. Our son was fine in a gifted school program until 5th grade. We had a hard time getting him properly placed, but he's in an appropriate setting now. Private school paid for by the school district. They bus him 20 miles each way, too. • Anonymous said... Megan Keller Homeschooling our Aspergers, ADHD, ODD, etc. is a group where many of us got tired of the bad options and are trying it on our own. • Anonymous said... My 14 yr old high functioning son is now in yr 8 in mainstream school. The last 1&1/2 years has been the most frustrating and horrific of my life. School started off great as there were supportive teachers and lots of understanding being offered. But as soon as my sons inability to keep the personal space boundary didn t work or he didn't want to do sport or sit in a chair he felt was wrong, all the understanding went out the window. He looks normal and seems normal until something isn't wright for him and he has a meltdown. The teachers didn't want to understand him then and thought he was being difficult. He's been suspended 3 times and and had numerous pre suspension letters home. If they had true acceptance of him he wouldn't of been suspended once. I recommend putting yr child in a asd school if possible. My son is now in an all boys school as he didn't mix with girls at all. They picked on and bullied him every chance they could. He's not interested in anything sexual at all as you would know but the girls would cry a sexual harassment claim and wed have trouble again. And my poor boy would say "mum I don't understand what they are saying I did. " And then I'd have to explain what some horrible sexual term meant to an innocent mind. Horrible. • Anonymous said... Steph, that is good to hear, because we are going to begin homeschooling our freshmen this year and we are believing that more opportunities will open up for him. Not a discipline problem, but a too quiet and wont speak out against others who have wronged him. So we think he will really enjoy learning again. • Anonymous said... This was our first year trying Connections Academy and it was good. I was able to let my son go at his own pace, which was great because he struggles with reading comprehension but whizzes thru history and math, until the school began the dreaded state testing prepping. Then things quickly became a headache because they added on additional "practice" classes that interfered with his regular courses and we had to hustle at the end to get everything completed on time. We began the school year with smiles and ended in tears. So, after many nights of prayers, we've decided to go with homeschooling and I already feel a weight lifted off my shoulders. • Anonymous said... we go the traditional schooo method for our 12 year old with PDDNOS, he has an IEP, and an aide. • Anonymous said... We just finished a school year with a K12 online public school. We are doing it again! I think it's a great opportunity for families such as ours. Our soon to be 8 year old can go at his own speed in the subjects he likes and take a bit longer in the ones that he struggles with. We can control the environment, etc. Of course, one must take in consideration of appropriate social skills so our kiddos all participate in extra curricular. Tae Kwon Do has been a particular benefit for our kiddos with poor motor skills, not being able to compete well, low confidence etc. He's around kids and has to cooperate but he's not really competing with them....and boy oh boy his physical activity stamina has really come along in the last 2 years! • Anonymous said... We tried public k-1st but unfortunately because of her very bad behavior mostly brought on by sensory issues she just wasn't able to cope. The teachers were doing the best they could but basically she/ they were just trying to make it thru the day with out hurting herself or others. So this year I will try home schooling. • Anonymous said... Yep. Depends on the public school - where my son goes is amazing too - the whole staff works together and teams together to make school a good productive experience for my son! I sometimes wish we had a choice. There is a school for the gifted about an hour away, but with it's 10k/year price tag, we wouldn't be able to afford college. We are lucky that our son is in the GT program at his school and thrives on GT days. The most challenging part for him on the other days is boredom and boundaries. I say it depends on the child, My son is an Aspie but has terrible outburst in school. I decided this year to do the K12 program at home. It is internet based at home with the arent as a couc not the teacher. The teacher is online. Its free in most states and they send you everything the child needs. As far as a special needs school is concerned I am not sure but for my child interaction with other children his age turns quickly from good to bad. I hope this helps a little. Take ques from your child try. This is a common concern for many parents of children who are higher functioning in some areas, but still have major challenges in others. My 11 y/o son has been in various schooling situations and I have found none to optimal---including two 'special schools' . We have home-schooled, used an on-line program, sent him FT to a spcialized school and also sent him PT to a 2nd school for children with autism. We have visited and observed MANY other schools and have been told by various admins that our son was "not a good fit" for their school. After years of this, I can say in retrospect that the specialized schools were less than optimal for my son's development. They mean well, but are still missing the mark completely. The thing is, we need to look past the labels and more closely at true need. My son has challenges and strengths like every other person, but when he is approached as having autism, everything else gets eclipsed. He loves to cook, he loves to mentor smaller children, he loves to work with animals and he loves to see things. But he also needs support in reading, spelling and help organizing and regulating himself. And, yes, he has picked up behaviors that he did not have from other children. There has to be a balance with enough (+) role-models always being present. This yeat, we are trying traditional home schooling again with a teacher coming in at least 2 hours per day plus homeschooling classes and co-ops. Wish us luck. I don;t have all of the answers, but I do have wisdom I've gained from all of our past experiences!! my son attends public school but it is a very good one and has a social skills program that he will be in starting this year. My son was diagnosed at 8, so he was already in school. School told me for three years he was autistic but because he was so communicative I didn't see it. Now I see it. My son was in public school k-2 nd grade and all three years I was telling the teachers and the school psychologist that I thought something was different. I was told no he was fine due to him having straight a's. Finally by 3 rd grade I thought maybe I was the wrong one and maybe he just needed a smaller classroom and enrolled him in private school. It was a disaster he was still getting great grades but was having emotional problems on the play ground. They kept sending him to principles office because they didnt know how to handle his emotional needs. Bottom line is the public school he went to specialized in hearing impaired although every public school should always have experience with the spectrum they don't always. If a child is gifted its harder for them to lend the help that is truly needed. As for private school it depends on the individual child's needs. Where is it that your child really needs the help in the classroom? Or the playground? Every child is different and we know our children best! One example is my son is strictly by the rules u know black or white very literal. A child cut in front of him in line. He told the kid he was there and the child didn't listen so my son told the teacher. The teacher said its ok we're all going to the same place just get in line. I tried to teach my son that day that it was ok to not worry about it let it go until he said to me " mom so if u were at the market and a lady just cut in front of you so it would be ok? U wouldn't say anything?" I giggled inside and realized my son was right . I love teachers but not always are they thinking about life skills they might just being trying to get through the day. I don't care if my son has straight a's I care if my son will be able to hold a job when he's older have a family and be able to live in this world. I realized this year I was going to also try k 12 home school and teach my son life skills myself but continue to do social interaction daily with his age group. We will see how it's goes I'm scared and excited I do see that he is less stressed and when he does get together with children he is doing much better! It's hard to make a decision and its very stressful for us as parents because we want the best for them. So first think about your child's needs then look into your school district if many parents are pleased with the help they are receiving then maybe it is worth it to try. If and only if the private school around u has experience with kids on the spectrum try that for a smaller classroom and more eyes on the playground. But that's only if your child will not need special help from the school such as occupational therapy or speech therapy. Just trust yourself and continue to do what is best for your child because everybody is always going to have a different story. U are doing a great job already! My Apspie daughter attended a Montessori school for elementary school and did very well. She is also gifted and could work at her own pace.It wasn't until we put her in traditional public school that we started having problems. We ended up having to homeschool her the last two years of high school. Education is different in all communities and the "right" location is different for each individual. Having said that, connect with other families in your area (support group or hanging around the classrooms when kids are dropped off or picked up) and ask them what they like AND what they don't like about the options. What changes would they make. Why it serves or doesn't serve their children and how their children compare to your own. visit classrooms if possible. Some kids thrive and other's don't in the exact settings. The best thing you can do is get in there and do some research and use your own gut instincts. Worth investigating a Montessori School. Our high-functioning Aspie son left public school end of prep and started at one this year. We haven't looked back! Sure, not for everyone, but perfect for him. Has been able to indulge in special interests and better suits his 'hands on' learning style. Montessori is non religious. Our paediatrician once told us that one of the greatest challenges we will face with our son is finding suitable education. He is very bright for his age & we wanted to nuture that. All the best and as Carol Still (above) has said - follow your own gut instincts! My son did ok in public school, but we decided to try bringing him home, because public was not giving him the attention he needed and ignoring he issue, going through Connections Academy has been an Awesome experience and he has the best grades that he has ever had, and it is a public school from home. it is sad to see that not enough public schools do enough for our kids. I cant say enough about the school my son goes to. and all the staff is on the same page. they even noted in his IEP wich he has had before he was diagnosed. that they need to keep a watchful eye for kids teasing or bullying him because he may not understand that they are actually doing it. There are some public schools out there that will help our children you just need to find one and make sure that you fight for what your child is not getting if he needs something more. There are laws that back us as parents up.